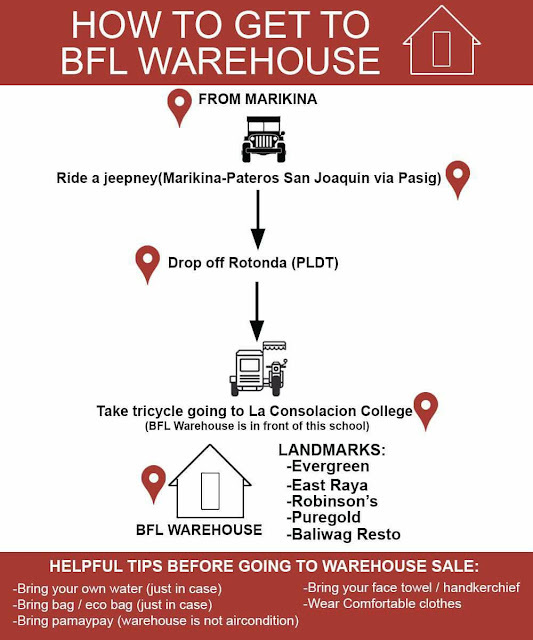 Dropped like a Hatputito: Experience | Books For Less Warehouse Sale! 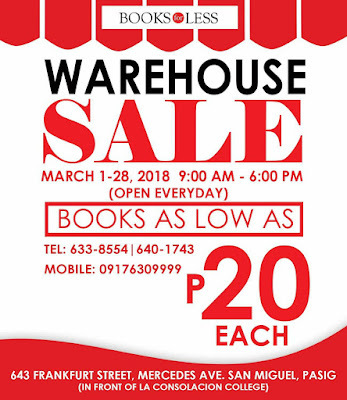 Since they used the phrase: "Books as low as", I thought that this advertisement is somewhat "click bait" for book lovers. You know, like the ones we see at the mall with the "For as low as 70%" or something but when you try to dig in to the box, only few have that discount. 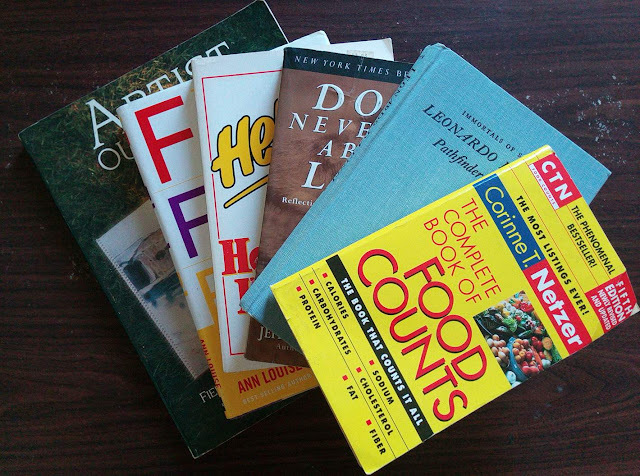 But Books For Less is my first to have really lived up to it. Last March 10, Saturday, my friend, Jussel, shared the picture above to me on Messenger and that same day we decided to check it out. Great thing is that they have directions as well on how to go there. 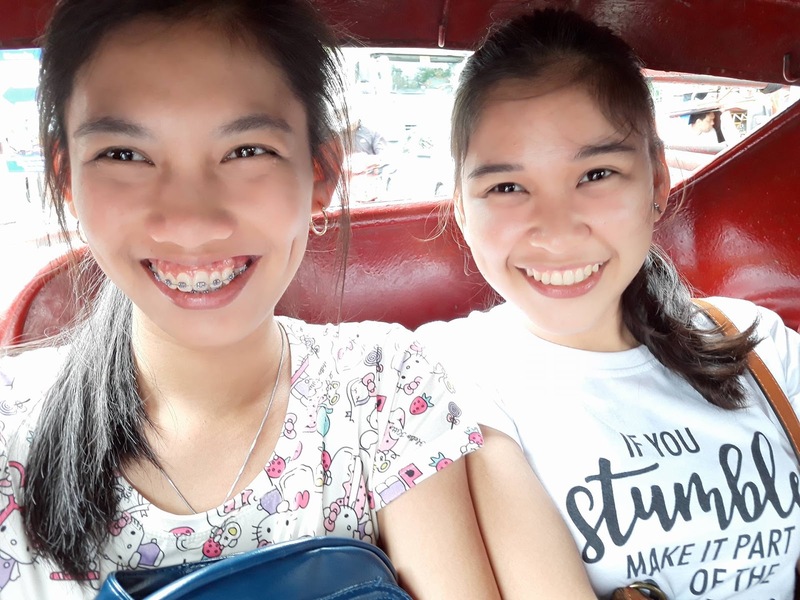 We met at Jollibee Ligaya, in front of Ayala Malls Feliz in Marcos H-way, where we had our fill first (para hindi maantala ang pagtitingin namin ng books) and rode the jeepney with a sign board "Pasig palengke". Fare is P13. We were not dropped off exactly at PLDT Rotonda since the jeepney is not passing that way. The tricycle terminal is at the back of PLDT building and there was no tricycle when we arrived there and had to wait. Fare is P9. And this is the warehouse. 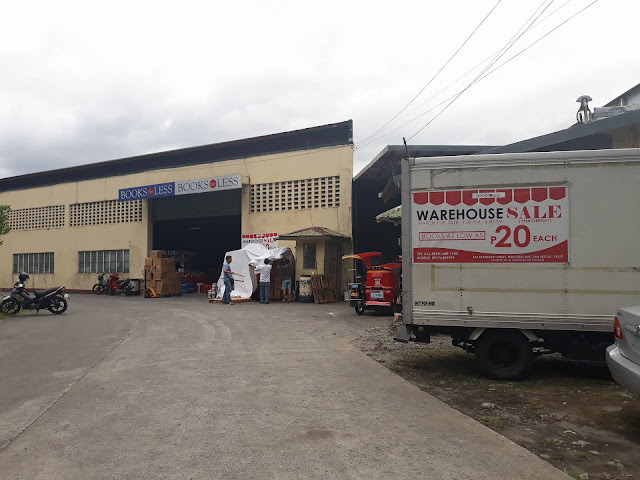 Since it was already the 10th day of March, I thought that maybe mga napagpilihan na yung mga natitira but as we entered the gate we saw those boxes being unloaded from the truck. New Arrivals! Mukhang madilim sa labas yung warehouse but maliwanag naman sa loob, makakapagbasa pa rin and it is well ventilated with large fans everywhere. When we got inside, there were signs of "@ P20" on some shelves. I thought that those were the only ones that were priced at P20. When we tried to go to the right corner of the warehouse where it was divided by a long shelf, we were asked to leave the books we were holding in their table. And so we did and entered the area. There we saw the sign @ 50%. All of the books in that area are priced @ 50%. I asked one of their personnel there if the price indicated in the book was already reduced by 50% and he answered no, it will still be lessened on the counter. I was surprised and happy at the same time. When it was our time to pay, doon ko nalaman na yung buong area pala na may @ P20 ang ibang shelves ay actually priced at that and not only the shelves with the sign. So basically if you can try to imagine, the center area is all priced at P20 and the right corner is sale at 50%, yung left is like their storage where they arrange all the books that arrive. But hey, I took a photo of the books I bought. The bottom one, Artist Outdoors, is priced at P99 (which I got from the right corner of the warehouse, priced at P198 at the back of the book) and the rest is at P20.